Kobe Bryant’s re-tooled Nike Kobe 1 Protro will be making a return in one of the model’s original colorways as part of Nike’s Champions Think 16 Collection. Dressed in a White, Del Sol, and Varsity Purple color scheme. This Nike Zoom Kobe 1 Protro features a White leather upper with Purple and Yellow accents. 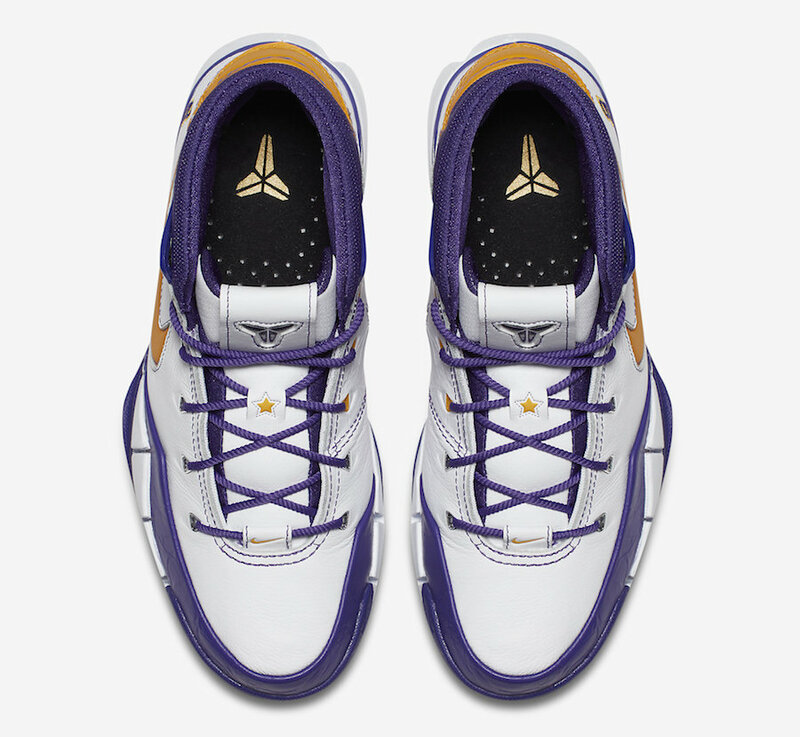 Kobe’s number “8” is stitched on the heels atop a full-lenght Zoom Air cushioned sole completes the theme. Look for the Nike Kobe 1 Protro “Close Out” to release on April 14th as part of the Nike Champions Think 16 Collection. The retail price tag is set at $175 USD. UPDATE: Nike releases official photos of the “Close Out” Kobe 1 Protro.